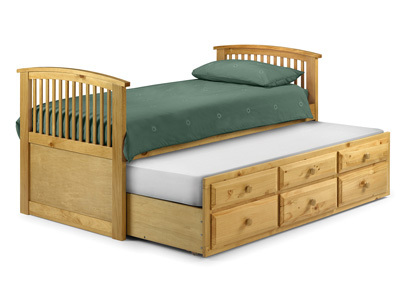 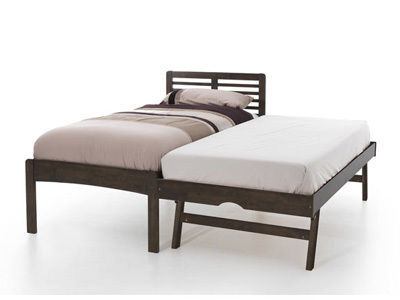 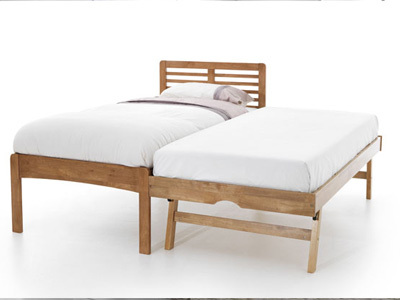 With our great selection of wooden guest beds you will be able to impress any guest. 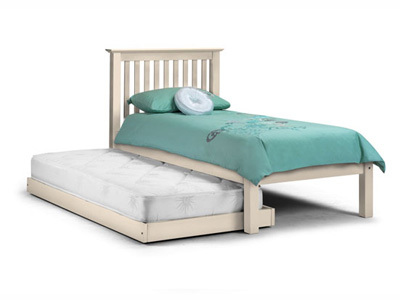 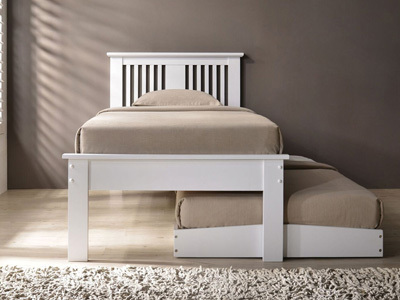 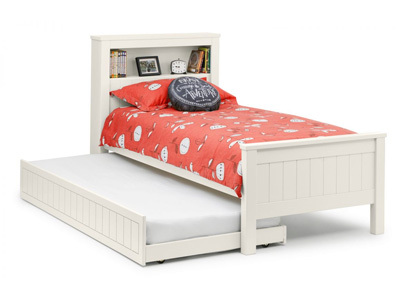 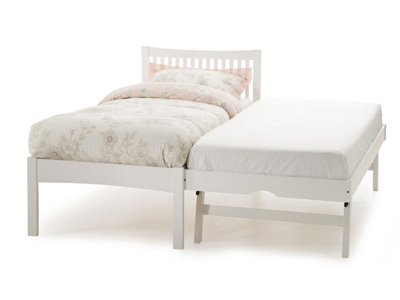 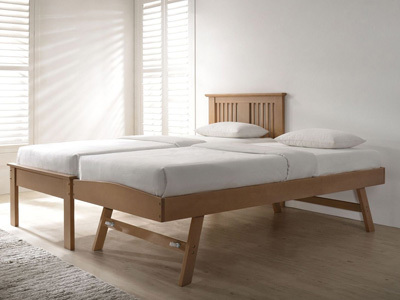 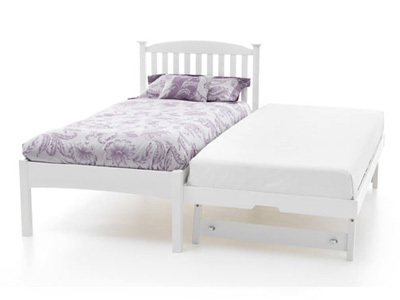 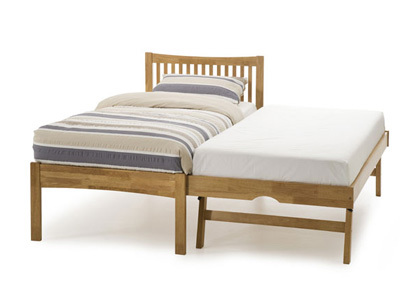 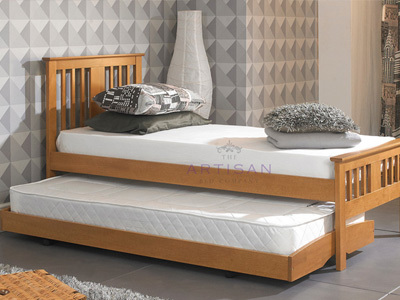 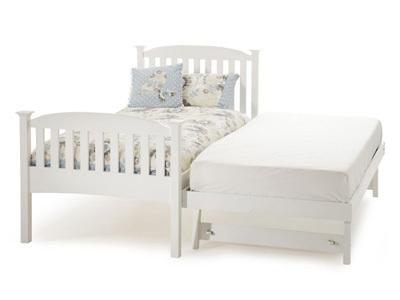 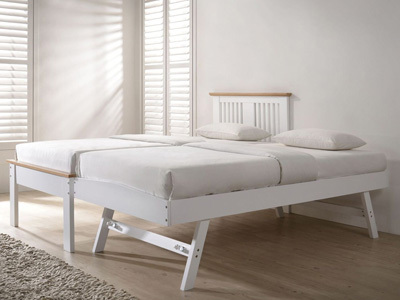 These wooden guest beds are ideal for every situation, you can create two single beds or one double bed by simply pulling the guest bed out from under the bed frame and raise it up to the same height as the main bed. 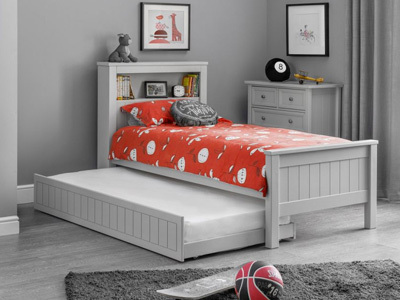 Once your guest has set off it is very easy to hide the trundle bed and store it without any compromise until the next visit. 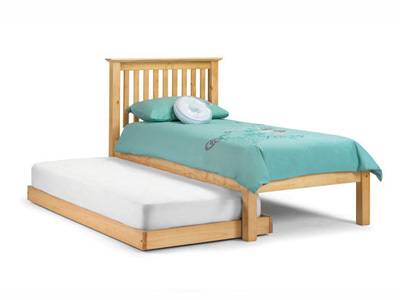 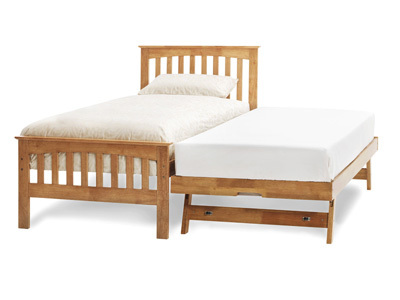 Most our wooden guest beds are available with or without mattresses. 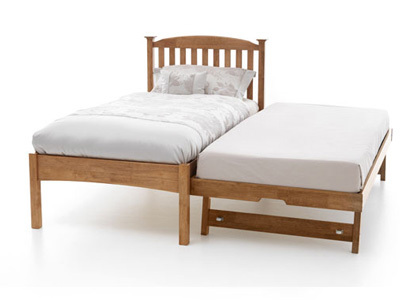 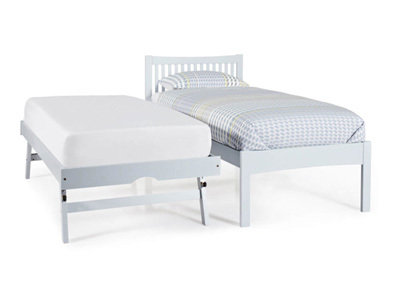 If you are more likely to use it as a double bed rather than twins, we recommend to purchase your new guest bed with a zip and link mattress. 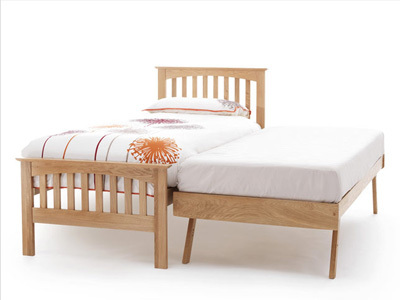 Has your friend or relative just called to let you know that they are staying over tomorrow night? 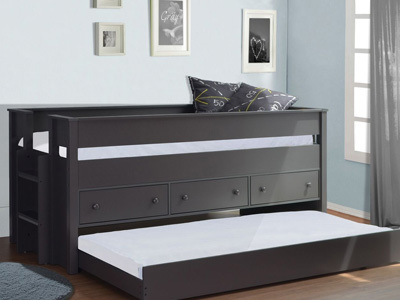 With Bedstar next day delivery service it is not a problem! 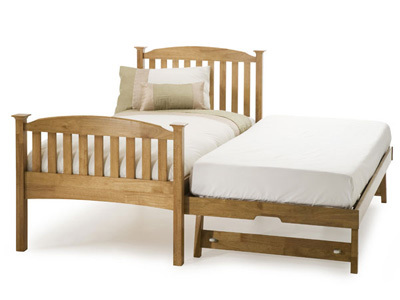 Select your item from our stock section with delivery tomorrow and you can make sure that they will have a good night sleep while they are in your house although you might need to remember to order some extra pillows, mattress protector and duvets.